The Golden Jersey is a ‘one of a kind’ heart warming and personal funky little shop, its the place to shop or just hang out with other passionate bike and coffee lovers. Come here for Bikes, Coffee, ice-cream and all things essential in life. This quirky retro 1950 service station has been lovingly restored to become the pride of Cowaramup locals. 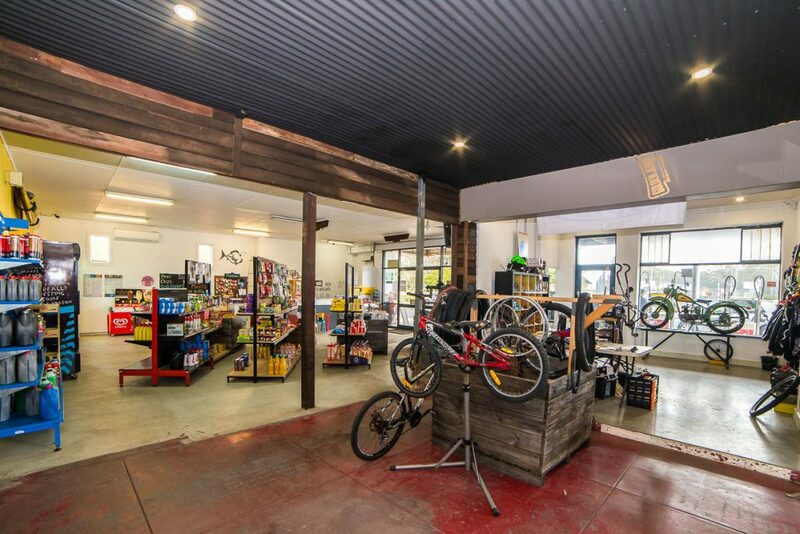 If you love coffee, want to hire or buy a bike or scooter, like viewing artists in residence, eating locally made ice-cream, or just need some fuel, fishing gear, surf accessories, or general store essentials, you will find it all here. Located a skip from the head of the Rails to Trails, The Golden Jersey is the hub of Cowaramup and is open 7 days per week. Share the owners passion for bikes and adventure, learn the latest on the trails, whilst enjoying a barista made coffee from the Espresso bar. Its the place to hang out when you visit the Southwest.